The quality inherent in Oxxford garments is unapproachable by mass production methods and is esteemed by those who demand luxury and endurance in any object they possess. Like all objects of fine character, they endure with grace. Chris Brueckner, Oxxford’s representative, will be in the store to help you with your selection of fabrics and model. Also, he will be showing a group of featured fabrics at a special value. 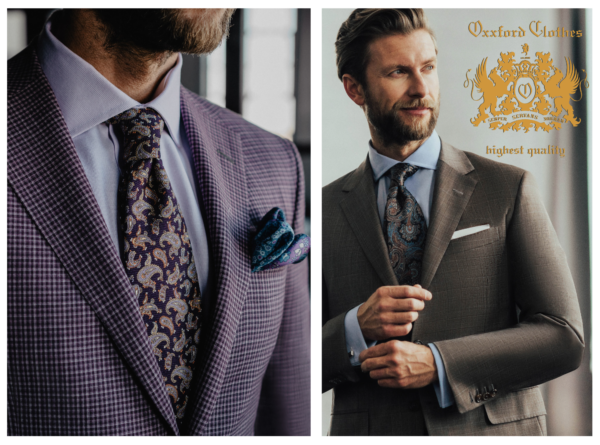 During the trunk show, enjoy a 15% savings on any Oxxford suit, sport coat and trousers, purchased from stock or special ordered. Offer good thru Saturday, April 13th.